Today is the birthday of William Kistler “Bill” Coors (August 11, 1916- ). 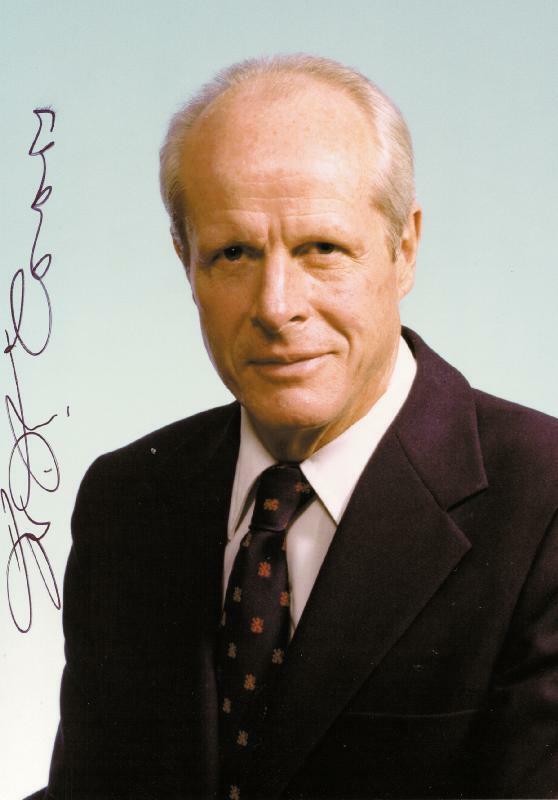 Bill Coors was born in Golden, Colorado, and is the grandson of Adolph Coors, who founded the Coors Brewing Company in 1873. He worked for the family business all his life, and ran the brewery from 1961–2003. 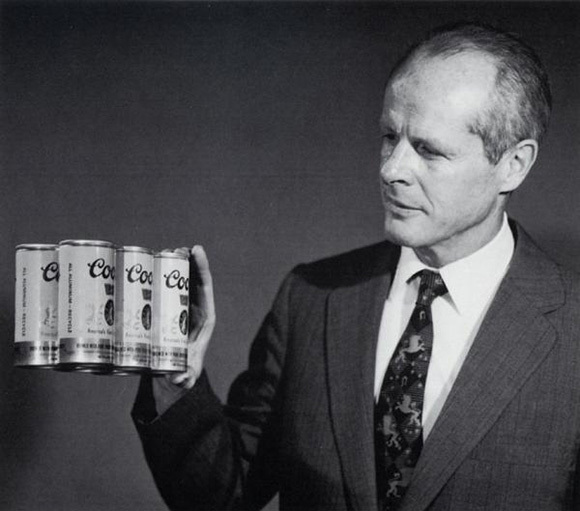 William K. Coors in 1982. Under Coors’ leadership, the brewery underwent a period of massive growth. Though it was a regional brewery, it held the top market share in 10 of the 11 western states in which its product was distributed, becoming the 4th largest brewer in the United States in the mid-1970s. Despite several union confrontations and product boycotts as a result of Coors’ political opinions, Coors took the firm public and established a national presence for its products. From 1961 to 2003, William K. Coors served as Chairman of the Adolph Coors Company of Golden, Colorado. The grandson of brewery founder Adolph Coors, he joined the family firm in 1939, where he pioneered the development of the recyclable aluminum can. He assumed the chairmanship and presidency of the Coors Company in 1961, shortly after his older brother, Adolph Coors III, was murdered in a bungled kidnapping attempt. Rising above this senseless tragedy, William Coors led the company through an unprecedented period of expansion, one that ultimately transformed a little known local brewery into the nation’s third largest, a massive, vertically integrated business that included Coors Transportation, Coors Container (the largest single can plant in the world) and the Coors Food Products Company. He led the way in making the Coors Company energy self-sufficient, and expanded the company’s program of aluminum recycling, at one point recovering and recycling as much as 85 percent of its cans, while handling a third of the nation’s recycled aluminum. Even after retiring from the Board of Directors in 2003, he remained active in the company, working well into his 90s as a senior technical adviser. 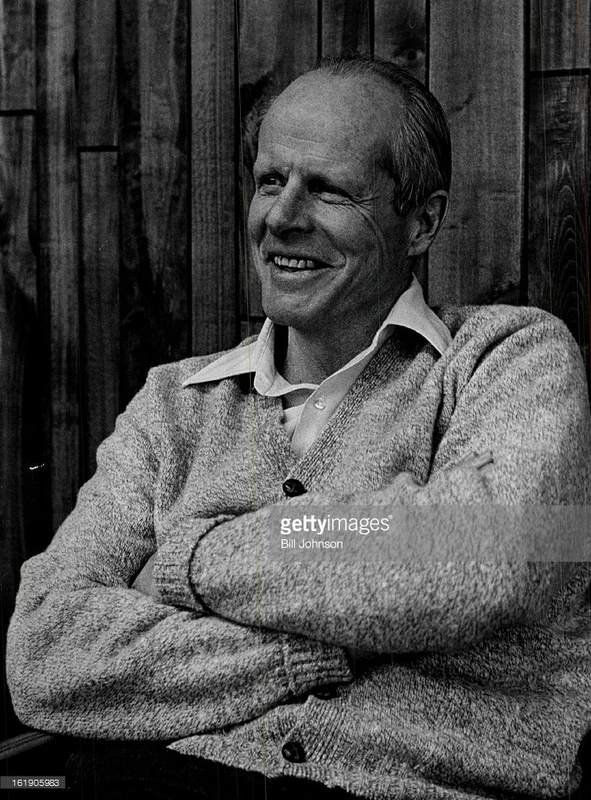 William Coors on March 12, 1976, by photographer Bill Johnson. 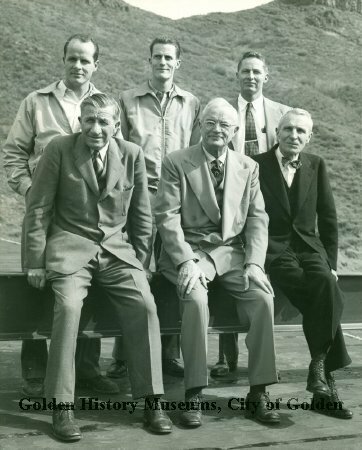 The Adolph Coors Company Board of Directors posing together at the dedication of the new headhouse at the brewery in Golden, Col., on April 16, 1952. Three men are standing and three men are seated on top of the headhouse. Standing in back left to right are brothers, William K. Coors, Joseph Coors, and Adolph Coors III. Seated in front left to right are brothers Grover Coors, Herman Coors, and Adolph Coors II (from the Golden History Museum). And here’s a short video about Bill Coors, from his induction into the Colorado Business Hall of Fame in 1996. In July of this year 2017, I sent Heidi Harris, the Contract Archivist – MillerCoors Golden Archives, a three page very personal response from William (Bill) K. Coors regarding beer that we’d (my first husband and I) purchased in Oklahoma and taken to Florida. Upon opening, we found that the beer was fermented so we wrote a letter back in the fall of 1973 to the company letting them know. In response, we not only received an extremely gracious three page letter from Mr. Coors but also some lovely pieces of marketing materials. I am grateful that this letter is now part of the archive history of the company and hope that at 101, Mr. Coors was able to see this letter from so long ago, come back home.